Born of our Constitution and steeped in our history, our patent system is the crown jewel that provides both the incentives and the protections necessary to power innovation and growth. This particular announcement does delve further into specifics. 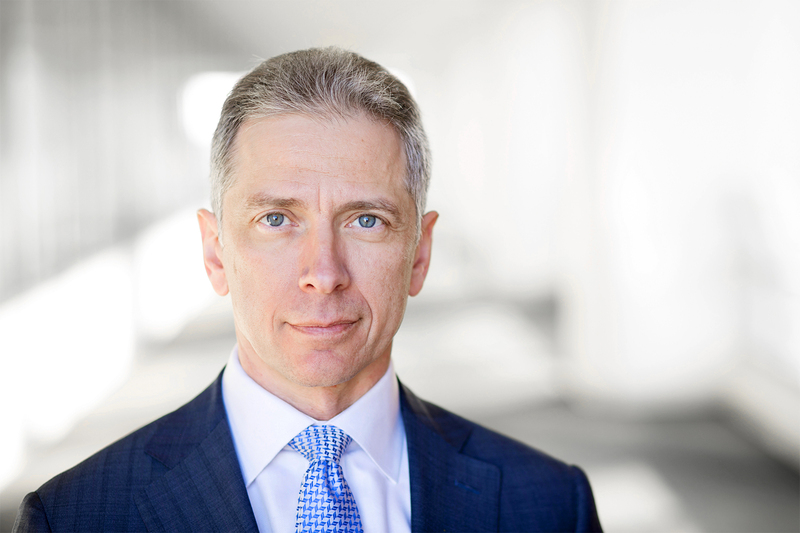 However, it is clear that Iancu will be pushing for patentee-favoring modifications in AIA trial procedure as well as eligibility jurisprudence. The tie-in with the Commerce Secretary and President suggest that Iancu will have the political backing to implement changes within the USPTO, although legislative changes are still an uphill battle. Yes let’s open the gates wide open again and make it as easy as possible for the already wealthy to “monetize” the worst junk ever granted in the history of the universe. What could go wrong? Nobody’s ever tried it before and everybody wants the rich to get richer, especially if it means mediocre patent attorneys can get in on the action. Hints of his ego peak through: it appears that only OTHER patent attorneys – “mediocre” ones who practice in art areas that are not the art areas that Malcolm (professes) to practice in – are somehow to “blame” for this notion of the “rich getting richer” by embracing the form of innovation most accessible by the NON-wealthy…. Malcolm, it’s not like your dissembling has not been put into a spotlight countless times previously. But hey, enjoy that drive-by monologue repeat the L 1 E often enough it gains a semblance of truth pr0p0ganda move. You’ve only been doing it for 13 years now…. Innovation in the computing arts – typically by software (or as you would use the term incorrectly: “Logic”). Did you really not understand that and have to ask me to be clear? Or were you just being a doosh? Make America Great Again, Make Patents Great Again! 6 more years for a USPTO under the Trump Administration! It saddens me to think that future generations will not know what is meant when some says “Malcom Mooney is a broken record”. Evidence that the US patent system is “weak”? Too much to ask for, I guess. Helpful hint for 1o1 whiners: address the issues. They aren’t going away. …the Accuse Others meme: stultifying. (hint: a major issue here is that the score board is broken). Those “issues” might go away with 6 more years of the USPTO under the Trump Aministration and 4 more Justices like Gorsuch appointed by Trump. Yes, adopting the slogan of the worlds least popular m 0 r0n pu ssygr@bbing pi ssb@by is going to be super successful for you. Meet the patent maximalists, folks. Always the dullest sticks in the bundle. YAY – more Malcolm one-bucketing….! A good start would be PTAb reform. 1. reject BRI and use the trial court standard. 2. Then give full faith and credit to art iii decisions and deference to markman orders. Pass rules to act in harmony with the courts. Next the director should take back the threshold issue from PTAB – as the statutes says. And pass a rule allowing the patent owner to make record of prior adjudication of issues of fact and law concerning the petition. Then use the discretion created by the statute to leave some matters closed – as a matter of repose – and don’t declare the IPR. For whatever little it is worth, I agree with all of these suggestions. Those are really good suggestions iwasthere. I am struck by how sad it is that an Article III court now is at the mercy of an administrative judge. All excellent. And all within the powers of the PTO director. With regard to 101 reform, naturally I wish Mr. Iancu the best, but I am not going to get my hopes up. There is very little that the PTO can do on this front without help from Congress or the courts. The CAFC appears to be slowly re-orienting into a more sane posture, but emphasis on that word slowly. They will not get there before he leaves, and I doubt that there is much that he can do to hasten their moves to gradually re-direct 101 law into more salutary channels. The best solution would be statutory reform, but this Congress can barely get it together to pass really essential legislation (like budget appropriations). Somehow, I just cannot see them finding the time to do patent legislation on even a small scale. Perhaps some of those in Congress who are, as a rule “anti-property” are “pro-intellectual” enough to get together with some of those in Congress normally “anti-intellectual” who happen to be “pro-property” enough, to get behind strengthening intellectual property which is Patents? Second, in both the House and the Senate you need to have the leadership care enough about your issue to get it some floor time. I would be delighted to learn that both Speaker Ryan and Sen. McConnell care about IP, but I have seen no evidence of this to date. As I said, I am not getting my hopes up here. In case I am wrong, however, and the Congress does manage to get it together enough to pass a revision to §101, I have a very modest additional reform to suggest. Naturally, I think that the AIPLA proposed text would be an improvement, but 6 made a really good point the other day, that one should not approach §101 with the default assumption that a given claim is going to pass through (as one ought to approach §102, in view of the statutory “entitled… unless…” construction). In view of that point, I think that any such reform should move §101 to come after §§ 102/103. In other words, §101 should be the novelty requirement, §102 the obviousness prohibition, and §103 the subject matter eligibility provision. Back in the pre-Bilski days, there was actually a canon of judicial avoidance that said that one was not supposed to address subject matter eligibility issues if the case could be equally well resolved on 102/103/112 grounds. This was a fine and sensible approach in my mind, and moving subject matter eligibility in the statute to come after the other patentability requirements would be a textual basis for reviving that canon of judicial avoidance. …back into the weeds with the 6′ (there’s no word ‘entitled’ there) given that ALL of examination is based on that very word…. Greg, the EPO operates its eligibility filter under the radar, in the course of its enquiry into obviousness. the only sort of non-obviousness that can establish patentability is non-obviousness within the ambit of the useful arts. So, if the USPTO took a leaf out of the EPO’s MPEP, and performed the same enquiry into obviousness, that would finesse out of the 101 morass. If the aggrieved Applicant doesn’t accept the outcome, it could appeal, all the way to the Federal Circuit, even the Supreme Court. That would avoid asking Congress to do something. The EPO does NOT have the useful arts legal terminology. The US is distinguished by this terminology. It is but a thin veil of subterfuge in your attempts to diminish what that term means from the US Sovereign choice. Such does not go unnoticed. I take your point, Max, but I confess that I am rather less than enthused about the idea of the PTO turning on a dime from decades old regulations—to say nothing of ignoring a body of binding case law—to follow what is done in Europe. No one should be comfortable with the idea of the PTO unsettling settled expectations like that on its own initiative (even if it is done in response to an equally inappropriate disregard of settled expectations by the Court). If such a change is to be effected, only Congress can make that sort of change in a manner consonant with rule of law. Well yes Greg, I do accept that the “legitimate expectations” point carries much weight. But is it legitimate to expect non-obviousness outside the ambit of the useful arts to open the door to 20 years of exclusive patent rights? How “settled” is the expectation of a patent for non-obvious subject matter outside the ambit of the useful arts? I suspect that there are existing ways (perhaps the printed matter doctrine for one) to invoke the Patents Clause when performing the 103 analysis, without breaking legitimate expectations. And the Patents Clause should apply also to 103 examination, should it not? And if Applicant considers himself unfairly treated by the USPTO, let him appeal to the court. That would give the court the opportunity to re-set the compass. Can you count how many terms are being used inappropriately or completely muddled in that sentence? What is this “Patents Clause” that you use caps for? Do you know (or even understand) what “the printed matter doctrine” is (and its necessary exceptions to that judicial doctrine)? What are these “legitimate” expectations that you allude to? Who decides what is “legitimate” and why that person? You sound as if you have been around the same block for decades and do not really grasp the circles that you have been traversing. Well, yes, anon, but one of the joys of commenting from thousands of miles away is to write something provocative and see what it provokes. Of course, if it’s pure nonsense, what I write, the proper response is simply to ignore it. Don’t feed the troll, eh? Cutting back to the basic point though, the dispensation to Congress to set up a patents system, a restraint on free trade, is limited, by the patents clause of the Constitution, to the ambit of the useful arts. So what is so wrong in cabining and confining the expression of patentable non-obviousness to the periphery of the useful arts? Your “joy” is a blight. The better option – of course – is to attempt to be inte11ectaully honest and engage on merits – not throw feces. I have no idea what you think that you mean with that question. Are you confusing the different sections of law on purpose? DO you really NOT understand the nature of innovation? Is this merely more of your feces? You, anon, might have “no idea” what I’m driving at, but any patent attorney who has ever been involved with prosecution at the EPO knows exactly what I’m on about, because this is the way the EPO has done it, consistently now, for at least the last 10 years, with nary a whimper of complaint from anybody. And why? To keep eligibility and patentability examination strictly divided. At the EPO, you don’t confuse the eligibility examination by sucking into it any sort of consideration of novelty or obviousness issues raised by the state of the art applicable to the particular claim under consideration. So, to answer your question, no, I’m not deliberately confusing “the different sections of law”. What I’m doing is exactly the contrary of what you suppose that I’m doing. Perhaps Night Writer can chime in now, and help you to understand. He does have some appreciation of how it works at the EPO. MaxDrei – you misparsed my statement. It is not I that lacks the idea – it is I that is pointing out that YOU appear to lack the idea. While you respond with a “but any patent attorney who has ever been involved with prosecution at the EPO knows exactly what I’m on about,” – YOU haven’t bothered to tie any of what MAY be “known” to those in the EPO back to the particular laws and issues in this Sovereign. IF that tie can be made – then make it. You have not done so – and your comments here are nowhere close to doing so. Tell everyone what the statute should say, Greg. It is far less what the statutes should say and far more in removing the rewriting of what has been said in those statutes by a branch of the government (actually, a particular Supreme subset of that branch) addicted to sticking its fingers into the wax nose of law – a nose that THAT very same body insists on keeping as wax. One thing the USPTO Director could legitimately do is to decide that in light of the facts that: (1) the term “abstract” is not part of 35 USC 101, (2) the term “abstract” is not defined anywhere in Title 35 and (3) the Supreme Court has not defined the term “abstract”, the USPTO will only determine a particular type of claim to be “abstract” if it is exactly the type of claim that has been determined to be abstract by the Federal Circuit or the Supreme Court. If the Supreme Court cannot be bothered to define a new term they have added to the 35 USC 101, it’s not the USPTO’s job to guess what the term “abstract” means. This mirrors the “Void for Vagueness” notion that I have put forward any number of times. Further, normally it is the Court that safeguards everyone by noting when a law (typically written by Congress) fai1s Constitutional muster under this legal notion. But when it is the Court acting like Congress itself that is doing the (re)writing, who then is guarding the henhouse? Further still, I would normally cry fowl [pun intended] if one were to recommend that the Executive branch carry out any such action, but as I have noted recently, the Court itself may have provided this path. Look again at the Court saying that there is this thing called “public right” and “franchise” that is separate and distinct from what is known as personal property. Look again at Iancu and Congress (at least one member thereof) stating that the AIA has already provided sufficient authority TO the Executive branch to run IPRs (and their affect on franchise rights) as they, the Executive branch, sees fit. Is it that much a stretch to take a step back from IPR (noting that even the Supreme Court now states that IPR and examination are concerned with the same things) and apply the powers (now) found in the IPR to also apply during examination? After all, the Executive branch merely executes the law. If a law is written (be it Congress or the Court) that cannot be faithfully executed – and with no small significance, that lack of faith is due to the Void for Vagueness doctrine – then the Executive may state that it IS executing the law to the level (and ONLY to the level) to which the law is NOT Void for Vagueness. For normal property matters, this itself would be a clear violation of the Separation of Powers. Of course, this would require rationality, reason and inte11ectual honesty as to what has been happening. It would be akin to a sporting event wherein, with the score board known to be broken, that the pertinent items such as score and time would NOT be reflected by the broken score board. The power of “franchise rights” is that THIS can be done SOLELY within the Executive branch – it is the notion of property that would have prevented this from happening. And until the self-admitted “murkiness” is actually CLEARLY delineated, this tactic by the Executive would be the rule of law (albeit, by man, as the next Executive may at their whim change the tactics). Would you concur, that following your logic, now that patents are no longer personal property, but merely franchises granted by the Executive Branch, effectively the only “restraint” on what the USPTO can do with respect to granting or revoking patents are the due process requirements of the Administrative Procedure Act? I gather that this line is regarded as a particularly witty species of gallows humor around these parts of late (“har, har, I used to have ‘property,’ but now I just have a franchise…”), but I hope that none of you make the mistake of talking like this in front of your clients. You will look rather like a pack of jacka–es. As the Court has long since observed, “[a] franchise is property, and nothing more.” West River Bridge Co v. Dix, 47 U.S. 507, 534 (1848). That’s an ad hominem reply, Greg. Your “a franchise is a property” line does not change the actual “gallows” elements – and actual questions in MY posts as to just how any other Constitutional protections would kick in (that obviously were not enough in Oil States. Your quote (from the Supreme Court) means nothing given how that very same Court has ignored other far more pertinent quotes in the present case that is generating the gallows humor. You want to “rather like a pack of jacka–es. ” in front of your clients? – then deny the fact that the Court has contradicted itself – and severely so when it comes to its patent jurisprudence. You don’t get to pretend that the score board is broken AND want to have a correct score. Why do you think the Director is powerless in fixing the ambiguous 101 standard? The PTO Director has policy and ‘law making’ power via the PTAB. He could outline a very detailed legal test for the 101 analysis, apply the test to a case, declare the case precedential, and promulgate a matching MPEP rule adopting the case standard for the 101 analysis. If he gets the CAFC to affirm his case, it’s the law of the land. Why do you think the director (through the PTAB) needs comity of the CAFC? Call it a “franchise-right” related item and this remove any notion that any Article-III blessing is even required. In order for there to be Art. III standing to support an appeal to the CAFC, the applicant has to lose. That means that the Director would have to promulgate a precedential decision that makes it harder to satisfy 101. Is your understanding that 101 is presently too easy a requirement? Where is the link to the announcement? We praise President Trump for his proclamation and leadership in the critically vital area of Intellectual Property protection. Strong, reliable, and predictable Intellectual Property rights spur job creation and facilitate economic growth. 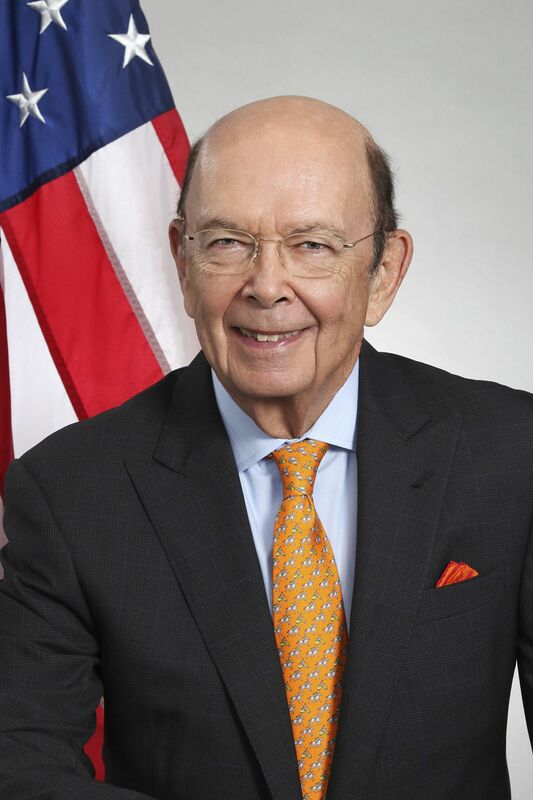 As the Presidential Proclamation notes, the Department of Commerce and the United States Patent and Trademark Office will be taking steps to further strengthen our patent system. American inventors, businesses, and entrepreneurs alike rely on our IP system to protect their business interests and create jobs that fuel America’s global economic and technological leadership. Now, more than ever, innovation is the engine driving economic growth. Born of our Constitution and steeped in our history, our patent system is the crown jewel that provides both the incentives and the protections necessary to power innovation and growth. did I miss “the specifics”….? Well, no further detail as to the steps they will take to strengthen the patent system, but there is a bit more detail as to the premises upon which that initiative is and will be based. Part of my inspiration is Poor Richard. Part of it is Publius. Further, I was “anon” in parallel to the social “anon” movement (some overlapping philosophical reasons exist). One might “act” as though one is truly anonymous here, but in fact, as the information submitted with each and every post here evidences, one is not. Ah yes – but that is where one must trust some measure of integrity in the blog operators. In the digital world, most do not realize how very little true anonymity remains. Or why (from the historical perspective) such has (had?) value. As you know, some political and philosophical views which are sufficiently unpopular or against the grain of the mainstream become risky to the point of requiring prudential self-censorship, particularly if there were no means of employing some degree of anonymity. No matter how free speech was at any time in history, cultural and social pressures effectively suppress views, not due to the views’ impropriety, invalidity, or error but simply due to their unpopularity or unacceptability at the time and due to people rightly seeing that the possible risks are too high to take merely for the chance to voice their opinion, even for something about which they have strong and sincere convictions. Unpopular views which call into question the mainstream always face the same challenge to be voiced and heard. Were there no anonymity some ideas would remain unvoiced, or at least the number of persons appearing to agree or voicing them would surely be reduced. Although in today’s highly polarized politicized climate, some are brave, or are perhaps in positions where reprisals would not affect them personally or financially… not all are in such invulnerable positions. I choose to say some of the things I say because I sincerely believe that they should be said… that all we need to do to maintain the illusion that the popular view is self-evidently correct or that everyone agrees, is to remain silent… and although I am not prepared to personally face persecution, I am willing to pipe up and say… anonymously… well no… we don’t all agree, there is THIS I would like to state also. Were there no anonymity some ideas would remain unvoiced, or at least the number of persons appearing to agree or voicing them would surely be reduced. I expect that this is true as far as it goes, and therefore a sound argument for anonymity as far as it goes. I would like to add just one tiny further point of refinement on top of this, however. So long as one is discussing ideas, the above logic is sound. As soon as one begins discussing persons, however, an additional wrinkle comes in. People have reputations that matter in a way that ideas do not. Now if I—a publicly identified commenter—attack another commenter, I have skin in the game. If I tell a vicious lie about that other individual, then when my lie is exposed, it will redound against me rather than against my intended victim. By contrast, when an anonymous participant tells a vicious lie, there is only downside for the intended victim, but none of the slanderer. Therefore, it is particularly vile and underhanded for an anonymous commenter to engage in ad hominem attacks, in a way that it is not quite as bad (although scarcely praiseworthy) for an identified participant to make ad hominem attacks. In other words, it makes one—in the plain, straightforward sense of the word—a bad person to advance an ad hominem anonymously. It is, however, quite fine for an anonymous participant to advance or rebut an idea, without resorting to ad hominem remarks. You act as if all ad hominem is the same, and at the same time appear to want an exception for ad hominem by a “true named” person. Such is simply not true – and misses the boat in multiple directions. That itself is a fallacy that demerits sarcasm and wit as useful rhetorical t001s. Your fallacy ALSO extends to a “see I used my own name, therefore what I say MUST have more value.” I use my own name means that my ad hominem (even if MORE baseless and unattached to anything at all) is “less” offensive than an anonymous or pseudonymous poster whose ad hominem may in fact be pertinent because of the person being attacked has opened themselves up personally to be attacked – for example, attempting to bank on the “weight of their name” when that “weight” is not proper (for a host of reasons including but not limited to: the borrowed ‘authority’ is not proper for being borrowed to a different subject, the ‘authority’ is itself ill-founded [think: Lemley], and other such avenues). Such also is simply not true. Your “as far as it goes” does not go far enough, and at the same time goes too far. The choice of using an actual name is just that: a choice. It is no more or no less “virtuous” in and of itself as a “true name,” and ANY intimation to that effect rests on fallacy. Anything that begins with praise for Mango Hairball is ignored by everyone who isn’t a f ing idiot. Helpful hint to people whining about Trump, he’s not going away anytime soon, maybe not even for 6 more years. He will be lucky to last the first four. Even worse, and even more sadly, NEITHER political party will “get” the lesson that comes from his being elected: that people would choose a TV-cl0wn than have someone deeply embedded from either political party. Have never heard your asperions towards Schwarzenegger, but your taste (crude humor and all) towards Reagan impugns you far more than anything that you accused him of. “We praise President Trump for his proclamation and leadership in the critically vital area of Intellectual Property protection.” Sounds a little too much like North Koreans praising their great leader. Also, there were absolutely no specifics in that press release. If you want specifics perhaps you should ask the Fox & Friends crew to ask some questions during the president’s next phone-in random rant. Good for Iancu. I happen to favor the AIA’s creation of IPRs and PGRs, but even I think that they need reform. Most of the necessary reforms are within the PTO’s discretion to implement even without court order or statutory revision, so if Mr. Iancu is motivated to make such reforms on his own initiative, he could do the patent system a lot of good with little trouble or expense. So far, I am very favorably impressed by this director (for whatever little my opinion is worth). Let’s grab those Franchise rights and apply them to the actual requirements of 101 (statutory category and Useful Arts), bypassing any Article III limitations on “personal property” – on the order of “the Executive Branch administrative agency provides Franchise Rights according to the actual words of Congress.